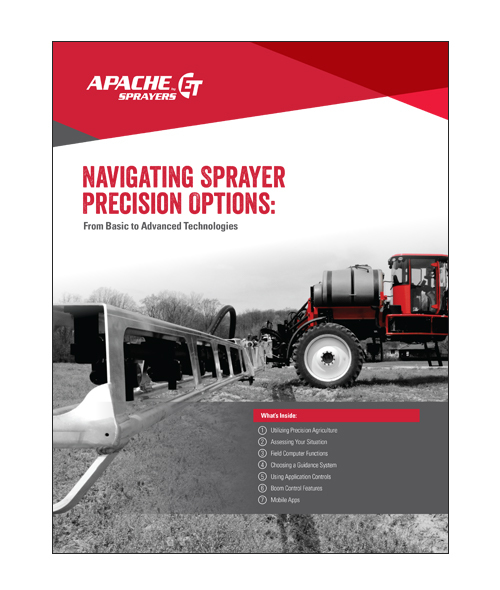 The spray application industry goes hand-in-hand with agricultural precision technologies. Precision agriculture can be thought of as cost effective technology that helps manage in-field variability. Over the last 15 years, precision agriculture has made significant advancements that have helped boost the spraying industry. With technology constantly evolving, it is easy to get lost in the many options. Your goal in the sprayer is to create more efficient and effective spray applications that will lead to a higher yielding crop, while increasing application effectiveness and decreasing costs. Whether you are interested in using section control on your booms, field computers or simply an app you can download on your mobile device, there are a number of ways to utilize precision agriculture to suit your needs.